. In my bedroom growing up, I had a painting of Jesus and the little children that a primary teacher had given me. You can once again decide what works best for your primary. Nor are these post sponsored by The Church of Jesus Christ of Latter-day Saints. Hang these on your bulletin board or use a magnet to put them up on the white board each week. Here is a closer look at some of the items available! Both versions include full color and black and white. You can even include the pencils to add. You are a child of God, His crowning creation. Well…may I present our version of the primary program. A notebook, a little treat, etc. Learn more about these tiles by clicking on a link below: But, after all this, I did promise a free printable! With that in mind, I tried to come up with the most royal design I could! You can purchase a matching and in my Etsy store. You can include a note that says you will be giving them something from all the Primary on the Sunday before but if the teacher would like to send a card or recognize them in class, it would mean a lot too. Any content or opinions expressed, implied or included in or with the goods offered by Love Pray Teach are solely those of Love Pray Teach and not those of Intellectual Reserve, Inc. These are available in the Sugardoodle Etsy shop. These monthly Primary posters are designed to be displayed throughout the year. Our 24x36 size is perfect for this! 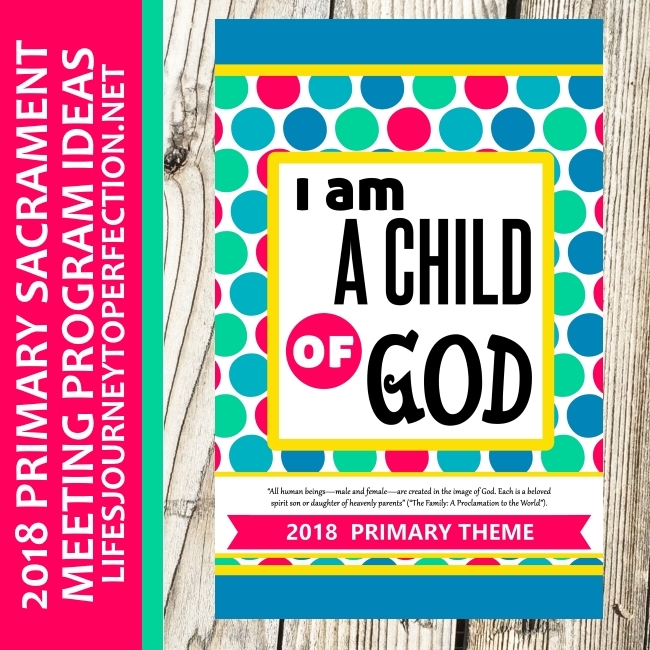 The theme may be used to enrich Mutual opening exercises, as a topic for sacrament meeting talks given by the youth, or to provide focus for youth activities, including camps, youth conferences, and devotionals. 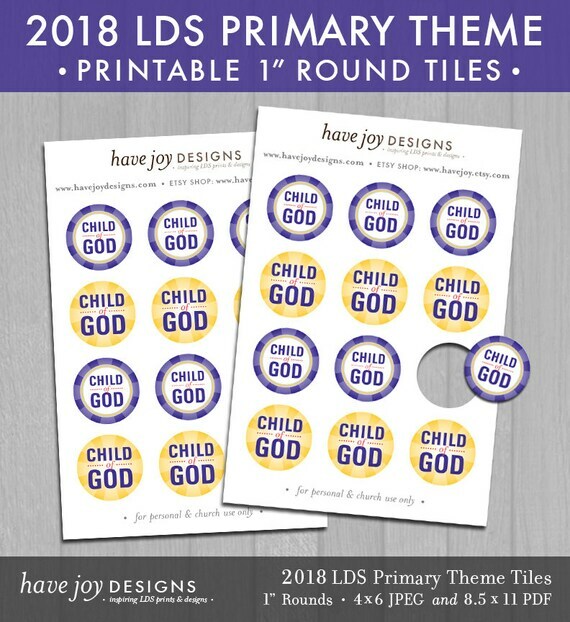 In fact, I highly recommend you bold these weeks and even point them out with a note when you hand them out especially since Easter is on General Conference weekend. And keep classrooms straight for kids and leaders! We created some fantastic artwork to enhance your teaching during Sharing Time and your Primary Classes. Worried about the little hands scribbling all over? I felt like this year we have the blessing and opportunity to help each child in Primary come to know that he or she is truly a child of God. In most cases, I only included 2 or 3 children in each class so you will need to add more lines so that each class member is included. You can also purchase individual pieces instead of the whole kit although it will save you money to purchase the Bundle Packet. The printable banner can be found. Remember before beginning any fitness or nutrition program to consult your doctor. The leaders can read the monthly scripture each week while the children look at the poster. When you do your home visits, bring a poster to share and give to each family. 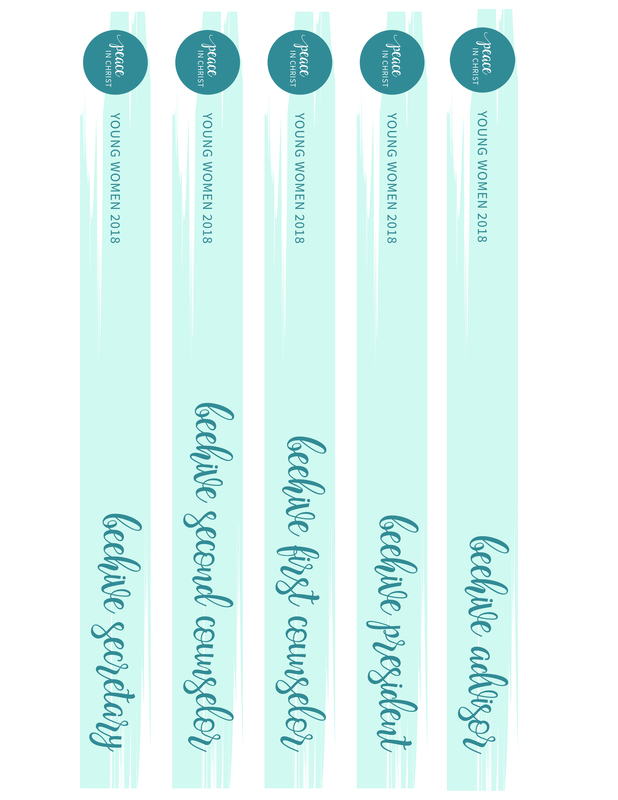 You can see more of her work on her Facebook page by These bookmarks come in color and a black and white version! Talk about making your life easier! Sizes include 3×5, 4×6, 5×7, 8×10, 11×14, 16×20 and 20×30. 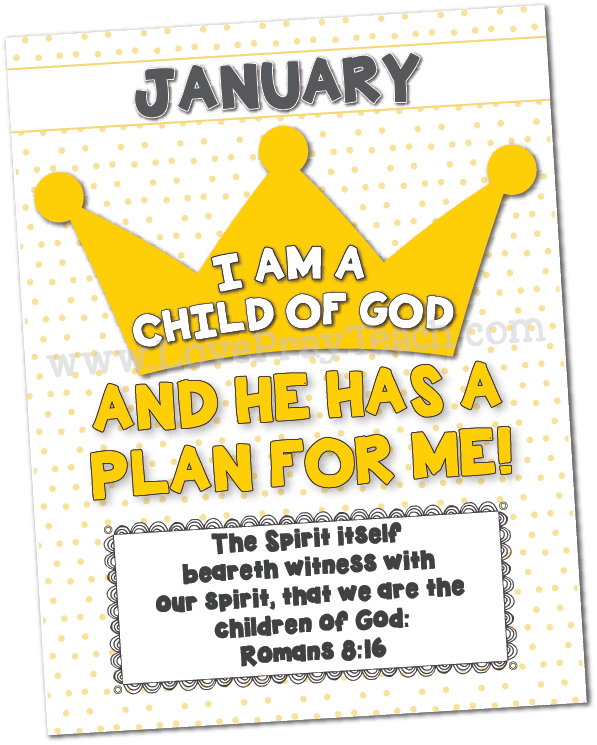 There is also a matching scripture poster to use which comes in handy when the child forgot to prepare. 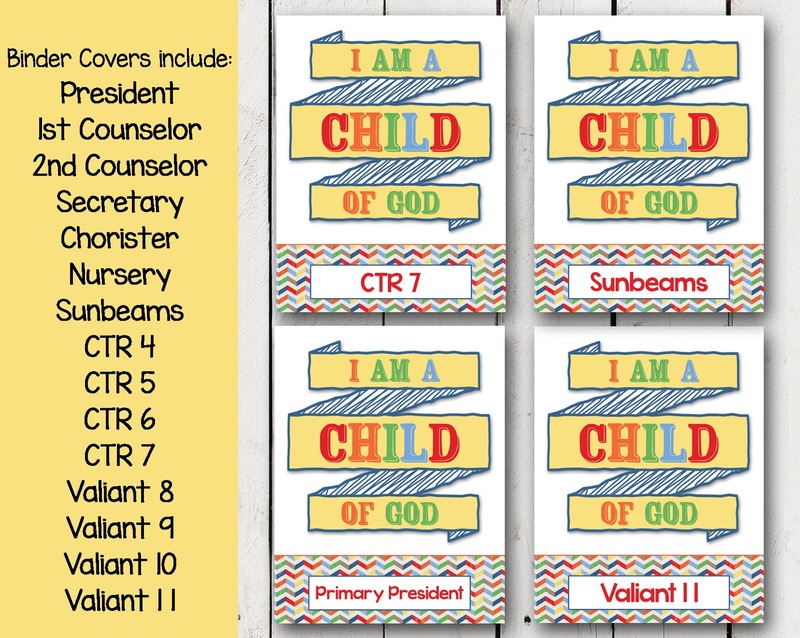 In fact, one of the recommended optional activities is to make a Child of God poster with the children's photos. This sharing time I especially liked President Hinckley's quote you shared - absolutely beautiful and spot on. One thing I loved was to asked them for feedback on things we could do as a primary presidency to make the primary run more smoothly. There are also blank headers provided if you'd like to add your own! All thoughts I post on this site are mine that have been gathered through my experiences and my own personal research. Also check out the Primary 2018 theme banner and class door hangers. Our full 2018 Primary Printable Packet is now available! 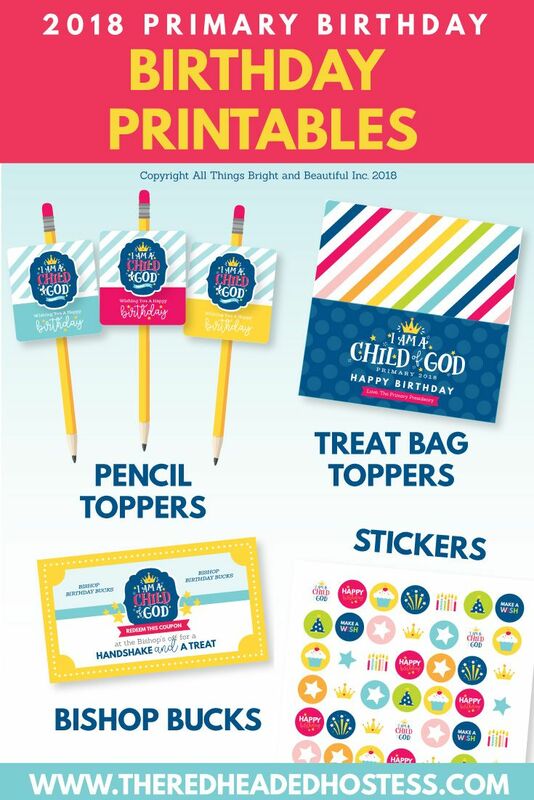 This package includes most of the printables that are available and is the best value! The Black and White version is 2 on a 8. Seriously, as I was looking at the bundle and thinking about all the time Courtney put into it, it is well worth the price! These bookmarks make for such a great gift or handout, and they make an excellent way to help introduce the new theme to classes or individuals. We also have Sharing Time Assignment Cards available as well. 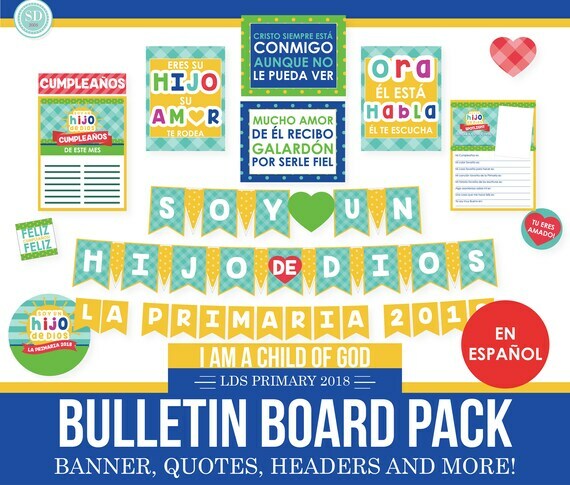 With over 50 pieces you will be able to create a beautiful bulletin board that is right for your Primary. Click on the link below to download this free 8. The first Sunday will be a council meeting. This is the easiest way to find the right classroom especially at the beginning of the year and for guests each week. Narrators: I assigned the 11 year old boys and girls to be the narrators but you can change that to fit the needs of your Primary. My candy wrappers and bag toppers will help you get the job done. When you hold up a girl one, only the girls sing or hold up a boy and the boys sing. I took inspiration from two of my favorite paintings. 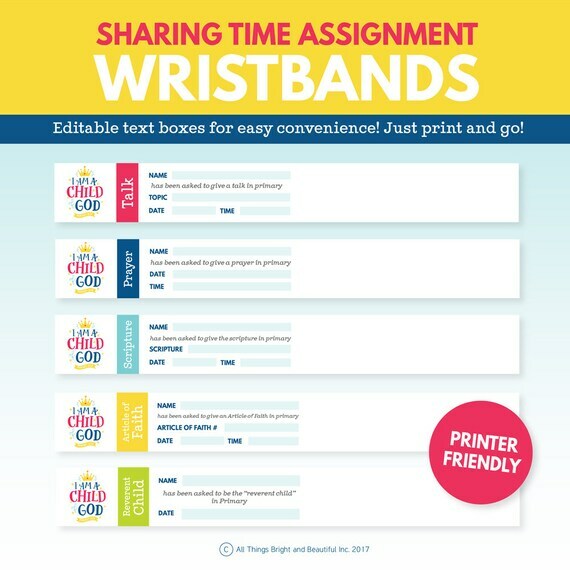 These assignment wristbands are a great solution. It also helps for subs! I wanted to use illustrations that would teach the children about their divine identity, purpose, and potential. 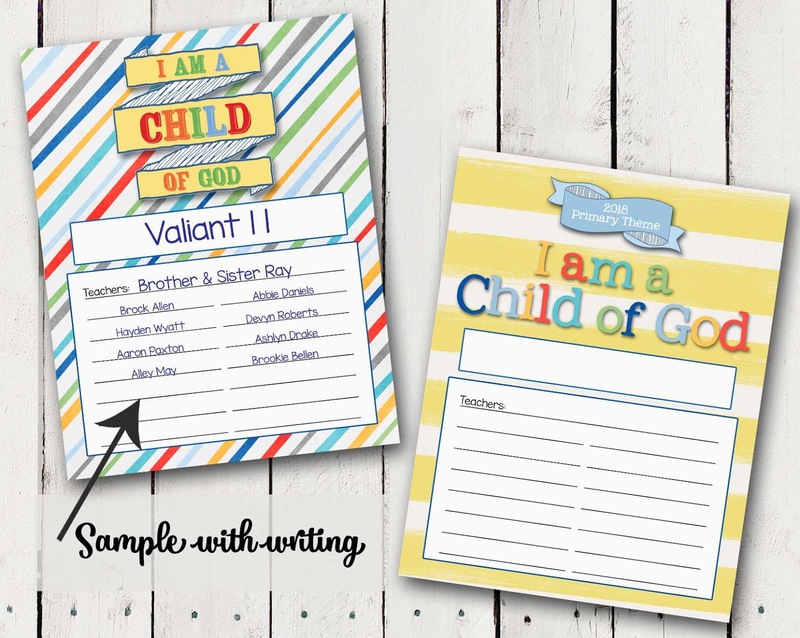 It includes Teacher Appreciation Printables, Primary Teacher Questionnaire, Miss You Notes, Binder Covers and Tabs, and Faith in God Trackers. It would also be helpful for parents. They are so easy to just put on the kids! The mirrors are a nice touch. We hope you will be able to help the children at church and within your own home come to understand that they are sons and daughters of God. No pump ever built will run as long or as efficiently as the human heart. Other helpful sites include , , and The adult Sunday School course of study for 2018 is the. It took me longer than usually because I re-designed everything like 3 times. I decided to stick with the nature theme. Manuals for Gospel Doctrine classes are the and the New members, investigators, and members returning to activity will study from. November 2018 Song: Consider singing songs that reinforce what you teach. I love that this birthday kit includes Bishop Birthday Bucks for a treat idea. I'd also save your list to a draft email or a photo of it on your phone so if people email or text you asking for a sub, you can quickly send the sub list back. You can download a copy of the Primary Program below. It would look great across a whiteboard or bulletin board. All items can be purchased through our or right here in our very! I chose leaves for the background to represent an ever growing family tree.